In the mid 1950s the United States Coast Guard Station (originally the US Life-Saving Station) at Hatteras Inlet finally succumbed to the relentless assaults from the sea. Today only a handful of pilings are visible in the surf, or on dry land, depending on tide, erosion, and changes due to storms. 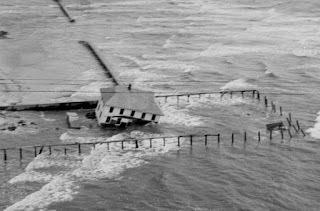 "The Ocracoke Coast Guard Station on the north end of the island of the Hatteras Inlet is gradually being washed away by the sea. The lighthouse tower is leaning badly and waves lap at its base, whereas it was formerly 200 yards inland. The officer in charge told us that they had experienced a terrific twister the previous night, and it took nine of them to hold the door of their quarters shut. I explored this end for Indian remains (as I had done the southern end) but found no traces of any kind. At this point, one has the feeling that this handful of Coast Guardsmen are at the end of the earth -- our last frontier, so to speak. Their contribution to this island community is very great, as it is to the ships that would otherwise be driven into the treacherous shoals and reefs that surround Ocracoke. These men can tell many stories of ships in distress in these hazardous waters." 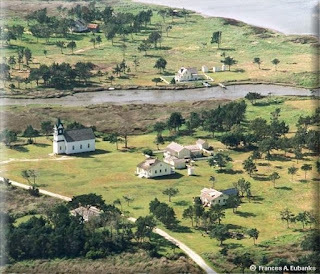 Until the middle of the 20th century Ocracoke was one of the most isolated communities in the nation. 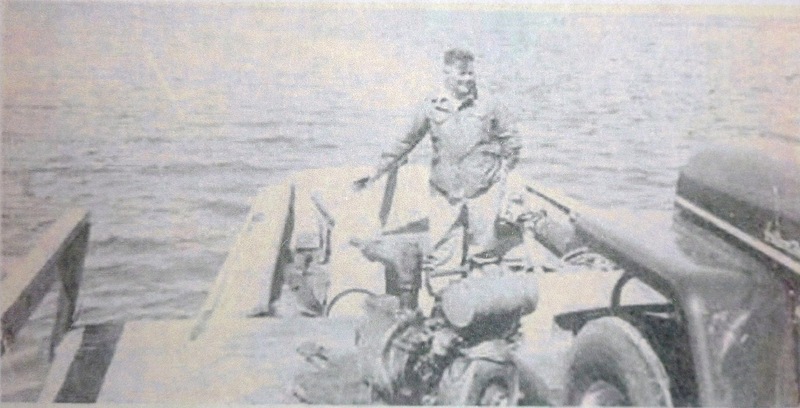 The initiation of ferry service to the island in 1950 ushered in the modern age, and with it a growing tourist presence. Many of those early visitors to Ocracoke were interested in contributing time, labor, or supplies to island churches and other organizations. "Through the kindness of 3 summer visitors, the Ocracoke Teenage Club received some interesting games. There were sent to Rev. Robert L. Vickery, Jr. by Harry Pendleton, Aaron Kravitz and Louis Snyder, all from Boston, Mass., who visited Mr. & Mrs. Jim Williams this summer. Included in the games were two sets of table tennis, one miniature golf set, one badminton set, chess, checkers, dominoes, puzzles, maps and other games." I wonder if any of the Pendleton, Kravitz or Snyder family still visit Ocracoke. If so, maybe they would post a comment. Fishermen and beachcombers walking along the oceanfront at Pea Island beach on Hatteras Island may notice a large rusty cylindrical object sticking out of the surf about one hundred yards offshore. Although locals refer to this object as a "boiler," Kevin Duffus, in his book Shipwrecks of the Outer Banks, identifies it as a steam cylinder (the part of a steam engine that contains the piston). 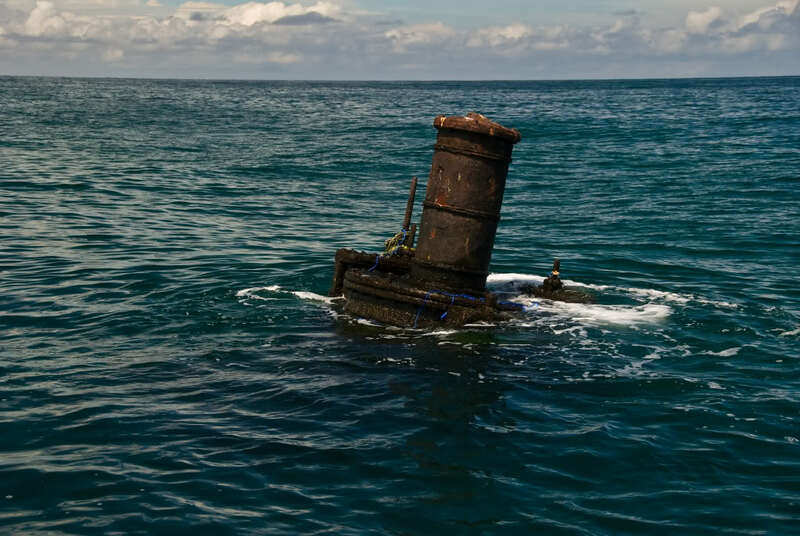 This cylinder belongs to a sunken Federal Transport ship, the Oriental. The 210' long Oriental was built in 1861, and used during the Civil War. During its second mission (carrying mail to Federal soldiers, and transporting missionaries and abolitionists to minister to freed slaves), the vessel sank during a severe storm on May 16, 1862. 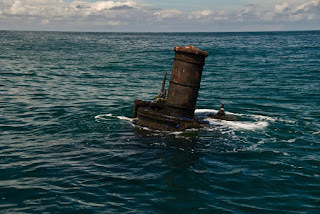 The Oriental is also sometimes known as the "Stovepipe Hat Wreck." To read about the colorful legend of when the Hatteras beach was littered with stovepipe hats click here. 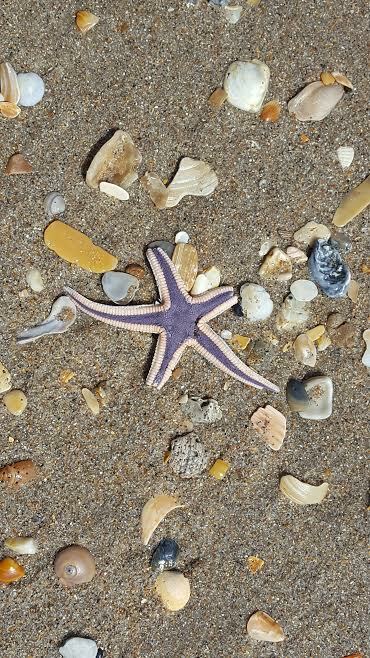 Starfish are not rare; but nor are they common on our beaches. 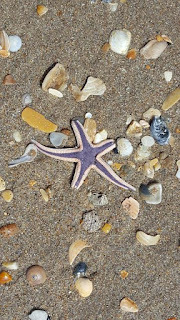 This Royal Starfish (Astropecten articulatus), probably named for its bright purple color, washed up on the beach this past summer. The royal starfish, like all starfish, has no brain. They also have no blood. Instead they have a water vascular system. The starfish's primitive eyes are at the tip of its arms. Starfish can reproduce by physical birth or by giving up an arm to morph into another starfish. The Royal Starfish feeds by wrapping its arms around mollusks and swallowing them whole. The entire staff at Village Craftsmen wish our readers a very Happy Thanksgiving. From Amy, Philip, Finley, Desiree, David, Sally, and Vera!! On October 11, 2017 I posted a story about Big Ike O'Neal (1865-1954). Reminiscing about island wind mills, he commented, "We had two wind mills on the island that ground corn. When there was no wind the mills didn't turn. I remember we once had a calm for twenty one days. But most families had their hand stones to fall back on at such times. It took a half hour to grind enough corn for breakfast with those old hand stones." I had never seen any island hand grinding stones, nor had I ever heard anyone mention them. 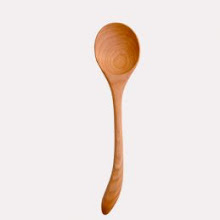 I wondered what they looked like and how they were used. No islanders I talked with remembered hand stones. An internet search yielded mostly information about neolithic and Native American grinding stones. Finally I discovered the term quern stones. A quern is defined as a simple hand mill for grinding grain. 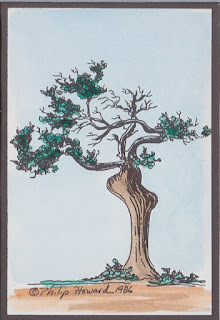 It typically consists of two circular stones, the upper of which is rotated or rubbed to and fro on the lower one. Quern-stones were often made of igneous rocks such as basalt. "The quern consists of two circular pieces of stone, generally grit or granite, about twenty inches in diameter. In the lower stone is a wooden peg, rounded at the top; on this the upper stone is nicely balanced, so as just to touch the lower one, by means of a piece of wood fixed in a large hole in this upper piece, but which does not fill the hole, room for feeding the mill being left on each side: it is so nicely balanced, that though there is some friction from the contact of the two stones, yet a very small momentum will make it revolve several times, when it has no corn in it. The corn being dried, two women sit down on the ground, having the quern between them; the one feeds it, while the other turns it round, relieving each other occasionally, and singing some Celtic songs all the time." 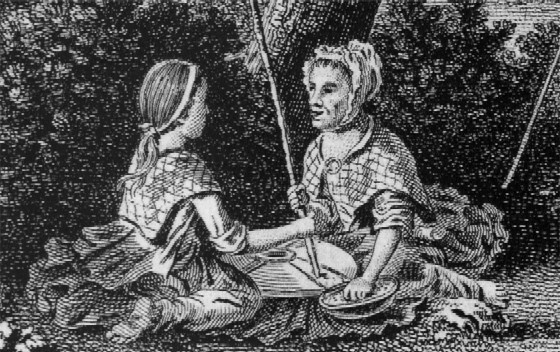 Woodcut from Thomas Pennant's 1772 book A Tour in Scotland. I am guessing Ocracoke islanders used disc querns similar to the ones described by Gannet, above. Perhaps I will discover one on the island some day. If I do, I will be sure to take a photo to share with our readers. This month's Ocracoke Newsletter is an analysis of a short paragraph penned by surveyor Jonathan Price in 1795. Price made this observation: ”Occacock was heretofore, and still retains the name of, an island. 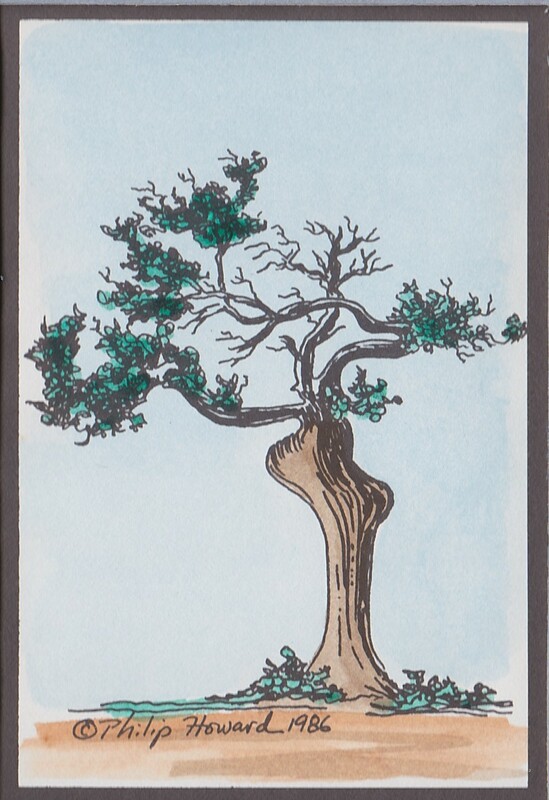 It is now a peninsula; a heap of sand having gradually filled up the space which divided it from the bank." I was puzzled when I first read that sentence. In what sense, I wondered, was Ocracoke at one time an island, but had now become a peninsula? The newsletter presents my analysis. You can read it here: https://www.villagecraftsmen.com/description-occacock-1795/. If you have an opinion, or another idea, please leave a comment. The Providence Methodist Church, a little frame church (now attached to a newer brick edifice) in our county seat, Swan Quarter, is often called "the church moved by the hand of God." Below is a somewhat fanciful account (from an unnamed and undated newspaper) of the 1876 hurricane that contributed to this remarkable story. 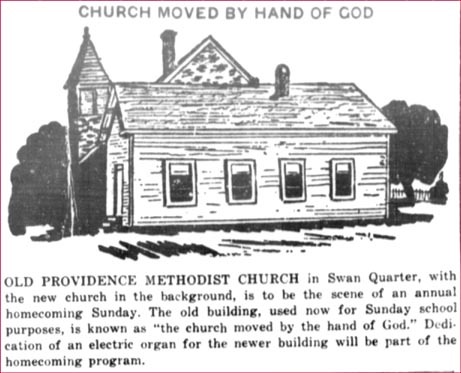 "'TWAS THE HAND OF PROVIDENCE [There is] a singular incident which occurred here several years ago. It was in the year 1876. The Methodist folk were about to build a house of worship. There was division in the membership on the question of locating the edifice. The ladies were a unit in favor of locating it on Pamlico Avenue, while the male members were united in their determination to have it on a site about 400 yards from the one desired by the ladies. The men won out and the building was in course of erection when the memorable storm of '76 swept this vicinity. The singular feature of the story is that the unfinished church structure was floated and carried by the storm to a point within twenty feet of where the ladies had desired that it be erected. The men believed this to be the work of a divine hand and it is needless to say that this house of worship remained where the storm had driven it. And to this day the men of this community let the women have their way in church matters as well as in many other respects." For a more complete, and probably more accurate, account of this event, click here: http://homepages.rootsweb.ancestry.com/~jmack/photos/providen.htm. Robert Louis Stevenson is best known as the author of Treasure Island. Fewer people know that he was the grandson of Robert Stevenson (1772-1850), a Scottish civil engineer who was instrumental in designing the Bell Rock Lighthouse, a beacon constructed on a barely exposed reef off the coast of Angus, Scotland, and sometimes described as one of the Seven Wonders of the Industrial World. Robert Stevenson is credited with designing a total of fifteen lighthouses. His sons Alan, Thomas (Robert Louis Stevenson's father), and David designed forty-one lighthouses; and his grandsons, David Alan and Charles Alexander, twenty-six lighthouses. Lighthouse construction in the United States was strongly influenced by the design and engineering skills of the three generations of the Stevenson family. Robert Louis, however, was more interested in writing. Interestingly, one of the main characters in Treasure Island is Israel Hands. In real life Israel Hands was put in command of Blackbeard's sloop, Adventure, although, having been shot in the knee by Teach, he was not on board during the fateful battle at Ocracoke in November, 1718. According to Captain Charles Johnson, author of A General History of the Pyrates, Israel Hands spent his final days begging in the streets of London. Today islanders rely on the internet to purchase many items. 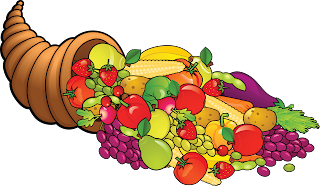 In the past Ocracokers ordered from Montgomery Ward or Sears & Roebuck catalogs. It was always a happy day when the packages arrived on the daily mailboat. The story is told that many years ago an Ocracoker decided to order some of that newfangled toilet paper, a novelty on the island. He asked his daughter to draft a letter to Sears requesting several rolls of toilet paper. Days later he received a reply form Sears. Sears only sold toilet paper in specific quantities, he was told. "Please consult page 126 in our catalog," the letter explained, "and place your order referencing the catalog number." The islander's reply was classic: "Dear Sears," his daughter wrote for him, "if I had one of your catalogs I wouldn't need any of your damned toilet paper!" If you want another laugh, check out this brief French commercial for toilet paper: https://www.youtube.com/watch?v=ZH_YInXvpoU. "Just think of it! You can go to Ocracoke. And it is so convenient, too. 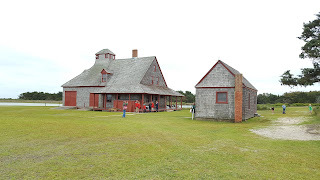 Buy your ticket, get on the boat here, and some time not in the distant future, you are at Ocracoke, historical Ocracoke. "You buy your ticket. Two dollars, please ! Then you go aboard the steamer, Mevers. Off you go for Washington. At that delightful town yon spend considerable time and perhaps cash. At 10 p. m . you leave for Ocracoke, and of course get there o. k. When ready, you return by the same route and nearly the same convenience. Now, let's see again. "You pay $2 for a round trip ticket. You get to Washington and stay there or on the boat, long enough for two meals, costing doubtless another $1. You are only twenty-five miles from home, and though it is yet eighty miles to Ocracoke the round trip fare from there is just $1. For a round trip of 210 miles you pay $2. The people of Washington for a round trip pay $l for 160 miles. Greenville pays one cent a mile, Washington pays [.6 cents a mile] . And the business of Greenville is about what keeps up the O. D. S. S. [Old Dominion Steam Ship] line on Tar river. Did you ever hear of such discrimination and do you wonder that the railroad drove the two lines into consolidation? "Another thing. People here have to lose a day on that trip while the boats for Ocracoke leave Washington at 10 o'clock at night. Why shouldn't the boat wait here till six or seven p. m. for the benefit of our people, and then make close connections at Washington?" "Before roads and bridges, the easiest route for Ocracokers traveling to the mainland was a half-day mailboat ride to Atlantic, where they could catch a midday bus to Morehead City. Otherwise they could ride nine hours on a freight boat to Washington, North Carolina. Traveling north to Norfolk was more arduous, involving thirteen miles of sand tracks just to get to the north end of Ocracoke Island. A private ferry took people across the inlet to Hatteras. The Manteo-Hatteras Bus line, a bus suervice run by the three Midgett brothers from Rodanthe, would take travelers the length of Hatteras Island, across Oregon Inlet via ferry, and up to Manteo. 'It was like going on a safari across a desert to get to Manteo,' remarked Earl O'Neal. "In 1938 an enterprising Ocracoke resident began a taxi service from the village to Hatteras Inlet, navigating sand paths in a station wagon. The ferry, run by Hatteras resident Frazier Peele, began in 1950 as a passenger ferry and expanded to a four-car operation by the time the state bought his business in 1957. 'The ferry consisted of taking a boat, putting a platform on it, taking boards for a ramp and running the car up on the boat,' an islander recalled. 'We just ran the car off in shallow water, and off we went; there were no docks or anything.'" In June, 1837, the schooner Aurora wrecked on Ocracoke Bar. Unlike so many other shipwrecks, the Aurora struck the bar in fair weather. 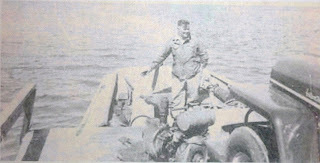 The captain and crew were able to make it to shore under their own efforts. In January, 1838, the true nature of the shipwreck emerged. Stick goes on to explain that, "The Marshal specifically charged that Captain Sheridan had enlisted the aid of the two crewmen, and together they had carefully planned the shipwreck and stolen the 264 doubloons, which had then been entrusted to the Captain by his henchmen for transfer to the north where they could be converted into American money. About the time this charge was made public it may have become obvious to Crocker and Norton that they joined forces with the wrong man, as on meeting him in New York they were told that he had been robbed of the doubloons and there was no loot to divide. When the Captain was brought to trial in New York in February he was found guilty—the doubloons had been discovered in the hands of yet another accomplice—and he was ordered to pay costs and to repay the Spanish Consul, $4,919 in all. Captain Sheridan was kept in jail for an undetermined period as further punishment." "A team of beautiful, large, white horses is in my earliest recollections of the Coast Guard. They were useful in many ways, one of which was shore patrol especially when the tide covered the beach. On patrol, the men punched keyposts which were standing at intervals along the beach (similar to the time-clock process). I remember too the wide ramp into the expansive room that housed the surf boats and surf boat drills which were held regularly. I thought of the kitchen house which was apart from the main building, and of the tantalizing aromas of supper cooking on late afternoons when we were trudging home hunglily from a walk on the beach and an ocean swim. I recall how, during hurricanes, the Captain of the Coast Guard would invite everyone to come to the station for safe housing. During the terrible hurricane of 1944, when my mother, brothers and sisters-in-law were on the island, the Coast Guardsmen came and escorted them to the station. The tide was rising so rapidly that before they reached the station, the water was up to my mother's armpits and she said that the Coast Guardsmen on each side of her literally lifted her through some of the deeper places." Today, the Portsmouth Coast Guard Station has been restored and outfitted with reproduction surf boats and life saving equipment. The 1890 Federal Census of Ocracoke Island lists George P. Hassell, age 39, his wife Ida, age 24, and their two year old son John. George was not from Ocracoke, but he married island native Ida Ballance. George's occupation is recorded as "Agt. N&S RR." This means Agent, Norfolk and Southern Railroad. Readers might wonder why Ocracoke needed an agent for the railroad. In 1885 the Spencer brothers from Washington, NC, established a large Victorian hotel (the Ponder, or Ponzer, hotel) on Ocracoke Island. This was in response to the expansion of railroads and steamships in eastern North Carolina, and the growing interest of well-heeled Tar Heel residents in vacation resorts on the Outer Banks. "In 1882, less than a year after the railroad's completion, the railroad company signed a five-year contract with the Old Dominion Steamship Company to make connections with the railroad in Elizabeth City and to provide passenger and freight service between Elizabeth City and New Bern and Washington, North Carolina. 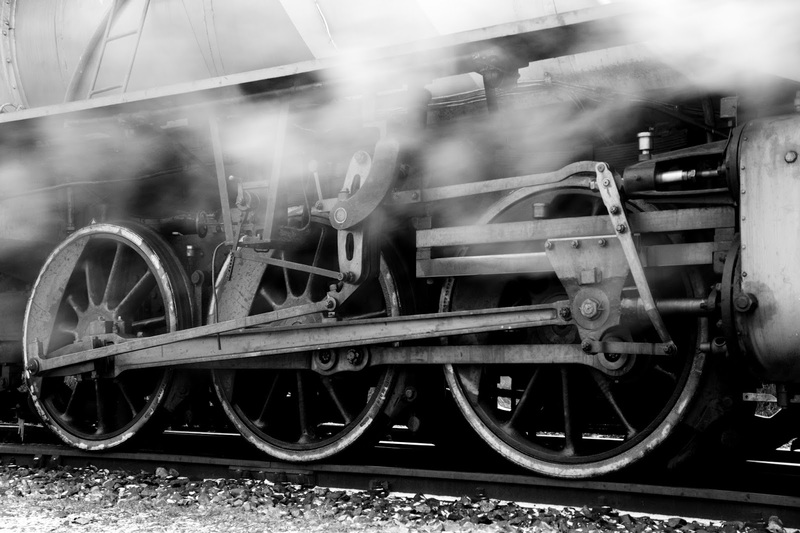 This arrangement ended in 1887, with the Norfolk and Southern Railroad operating its own line of steamers and the Old Dominion Steamship Company continuing its Norfolk to New Bern-Washington route through the Albemarle and Chesapeake Canal. This route change meant the loss to Elizabeth City of much of the trade of the Pamlico Sound region. 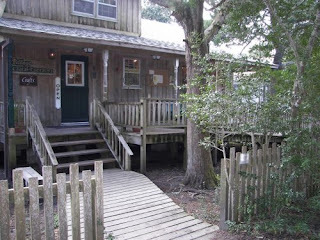 During the summer, however, most vacationers going to the prospering resort at Nags Head [and Ocracoke!] were still dependent on taking a steamship from Elizabeth City." And thus the need for a "railroad" agent on Ocracoke Island! The following paragraph is reprinted from The State magazine, April 11, 1942. The State, with Carl Goerch, an eastern North Carolina newspaper journeyman, as publisher, printed its first issue in 1933. In 1996 the magazine's name was changed to Our State. 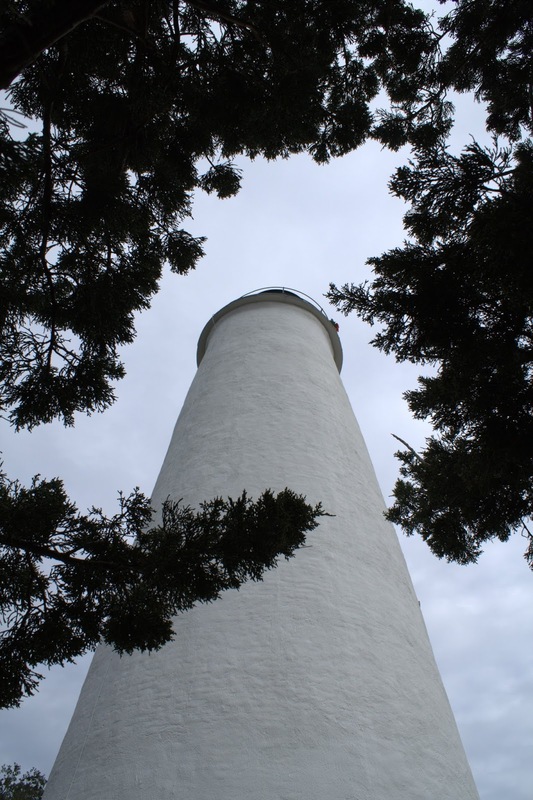 "[Ocracoke Island] has been a favorite summering place with large numbers of people, particularly those who lived in Washington, Greenville, New Bern, and other towns in the eastern part of the state. Hunters and fishermen have visited it from all parts of the country. It has no paved streets, no power, except that which is supplied by private plants, no sewerage or water systems, none of the many civic improvements that you will find elsewhere, but it's the grandest place in the world to visit and, if you listen to the natives, it's also the grandest place in the world to live. The houses are mostly two-story frame structures, each of them being immaculately clean and most of them well painted. Practically every house has its small garden and chickens. 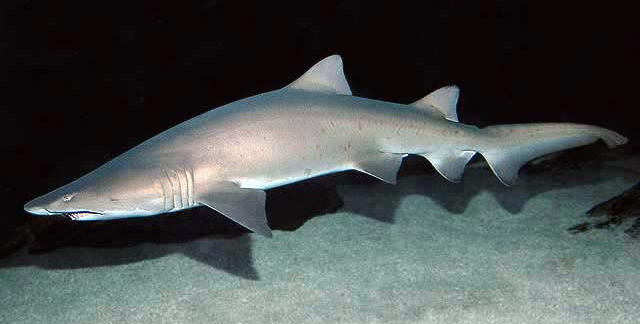 The entire population of the island--it's around 700--depends upon the sea for its livelihood. No, not quite all either because there are a number of men who are in Coast Guard or else have been retired with pensions. Wahab Village, originated by Stanley Wahab, local boy who made good in the big city of Baltimore, has a first-class hotel, cottages and other accommodations. It promises to be quite a development. Ocracoke lighthouse is one of the oldest on the coast." "The Coast Guard station is located on the sound side of the island. We didn't get to go there on this trip through Hyde County, but we have been there any number of times in the past. There are no people anywhere whose friendship we value more highly than we do that of those hardy, whole-souled folks at Ocracoke. If you've never been there you have missed one of the most interesting of all places within the boundaries of North Carolina...."
"Victor Meekins of Manteo, who is secretary of Cape Hatteras Natl. Seashore Park Commission, has reported that he expects to have deeds to the 10,000 acres desired for the park by January. Deeds for 900 acres of land from the Phipps estate at Cape Hatteras are in the process of completion. Many acres have already been donated on Ocracoke Island." "Ocracoke Island has a law protection at last. For years the commissioners liked to boast of the distinction of having "no law" and no jails. That was in the days before automobiles and such promiscuous drinking. Ocracoke still has no jail but it has a deputy sheriff, J.G. 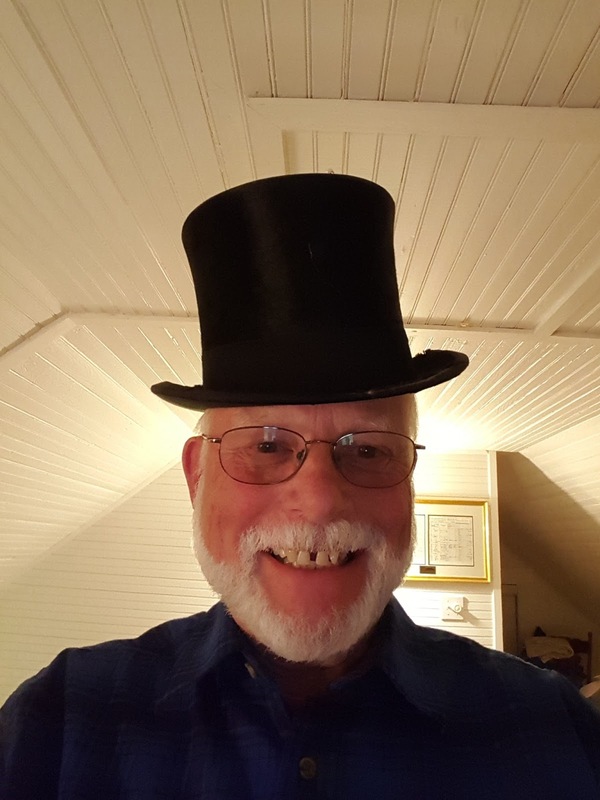 Riddick, formerly of Gates County and Suffolk, Va., who married the former Miss Beatrice Fulcher, and has lived here for the past 8 years, was recently appointed as deputy sheriff of Ocracoke Precinct in Hyde County." Finally, after months of design work, picture taking, and critical decisions, Village Craftsmen's web site has a brand new look! You can see the new and improved site here: https://www.villagecraftsmen.com/. Our site now has a crisp, clean look with many new hand-crafted products and an easy-to-use shopping cart system. 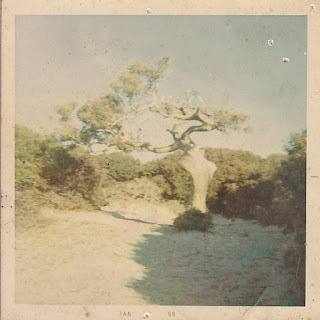 In addition to dozens of items you have come to expect from Village Craftsmen, our site continues to include links to this Journal, our monthly Newsletter, general island information, and our Ghost & History Tours. Please take a look at our upgraded web site, and bookmark it for future reference. As always, we maintain a sizeable inventory of fine quality American handcrafts ready to be shipped for the holidays, weddings, birthdays, anniversaries, and other occasions. We will be adding more craft items regularly. If you don't see an item you are interested in, please contact us. We will be happy to take photographs to send to you. Click on the photo above, or here, to visit our new web site. Our new design was created by Stefen Howard. For information about Stefen and his web and graphic design business (with contact information) click here.